Home divorce What Is A Divorce Coach? Divorce coaches are a relatively new phenomenon in the divorce/separation universe. 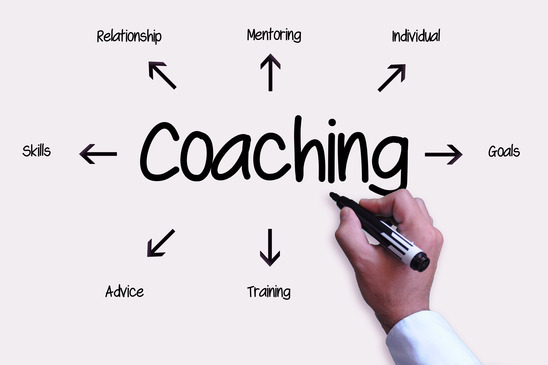 Coaches have been used with much success in other areas to assist individuals in achieving professional and personal goals. There are career coaches, executive coaches, marketing coaches, life coaches, leadership coaches… the list goes on. If you are going through separation and/or divorce, you might want to consider what a divorce coach can do for you. Divorce coach Deborah Mecklinger speaks of helping her clients be “realistic, informed and mindful” while working towards a “mutually respectful” divorce. Coach Deborah Moskovitch’s goal is to “help you get through your divorce smarter with your family, your finances and your sanity intact, while saving you time and money.” This all sounds great – but what does a divorce coach actually do? Coaches train clients how to appropriately deal with the dynamics of divorce, including the legal, emotional and daily living aspects of that upheaval. Coaching is not counselling. A coach serves a different role – building a client’s confidence and ability to manage the divorce process so that there is a greater likelihood of satisfaction with the outcome. A coach can help you collaborate with your lawyer in a more efficient and cost-effective way. By explaining the legal process, for example, a coach can help prepare a client to make better use of a lawyer’s time and expertise. This is not legal advice, which is the sole realm of the lawyer, but it can be legal information about the steps in the process, the documents to be prepared, the information collected, and so on. This training is valuable not only for the lawyer-client relationship, but also for the contact you might have with other professionals along the divorce road, such as accountants, mediators, assessors and such. A coach can do the hand-holding that you might not want to share with a lawyer, and that would be very costly for a lawyer to undertake. You can complain to your coach about your ex-spouse while also getting valuable training in how to respond differently to the same old triggers, in order to obtain a better result. Life after divorce is complicated and challenging. A coach can assist with the so-called dynamics of divorce; the transition to living life as a divorced person and/or parent. There will be new relationships to navigate, a new family unit created and a new financial reality with which to cope. A coach can help you face these challenges head on, remaining in the picture once your lawyer has served his/her role and closed the file. I have been retained by clients who have divorce coaches and by those who do not. A coach is not necessary. Many people are able to manage quite well without one. But if you feel you lack the tools to effectively work with counsel, you might want to speak to a coach. Take an hour and see if what a coach offers would be of use to you.